(1) Dual road case with a minimum purchase of (2) units. The ColorSpot 575E AT mirrors the excellent features and design styling of the Robe's latest ColorSpot 1200 AT. The ColorSpot 575 AT includes all imaginable effects - two separate gobo wheels with the "SLOT & LOCK" system, two separate colour wheels with the "SLOT & LOCK" system, motorized multi-step zoom, with three different apertures of 15, 18 and 22 degrees; motorized iris, prism, separate and variable frost effects, remote focus and many, many more. 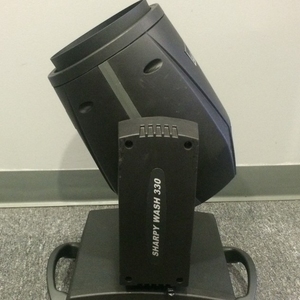 Completely new software enables very smooth rotations of the gobos and prism, and the fixture also has 8 or 16-bit resolution for gobo indexing, prism indexing and dimmer. An electronic ballast version of Robe's ColorSpot 575 AT sees an expansion of features including flicker-free operation, enhanced light output, extended lamp life, power-saving mode for economy and reduced weight. The same large LCD display - first featured on the ColorSpot 1200 AT enhances the fixture's user-friendliness. An Ethernet connection is also available with the 575E version. ColorSpot 575E AT - ColorSpot 575E AT in good condition. 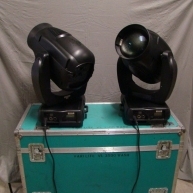 ColorSpot 575E AT - Comes with dual cases when purchased in pairs. ColorSpot 575E AT - Rarely rented and only used for the occasional auto show. Minimal hours for its age. 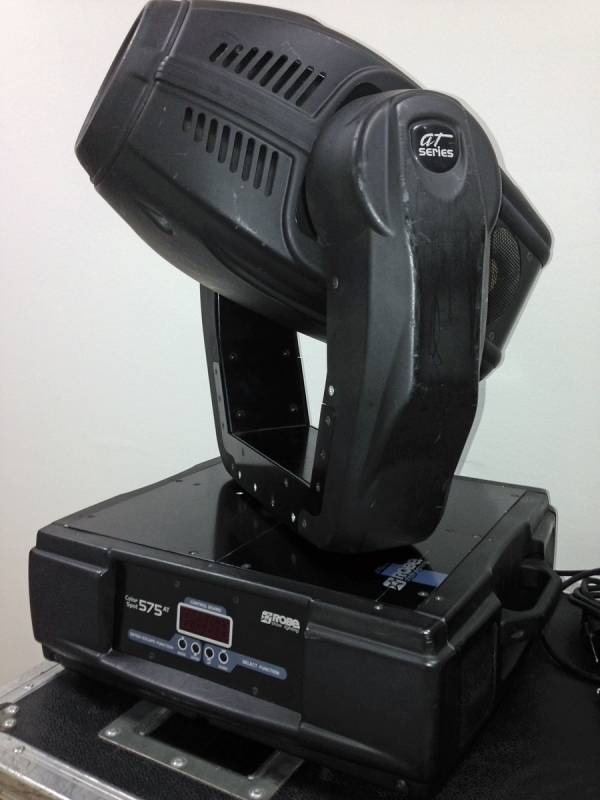 ColorSpot 575E AT - Used as a demo unit. Includes dual case with the purchase of two units. ColorSpot 575 AT - ColorSpot 575E AT in good condition. 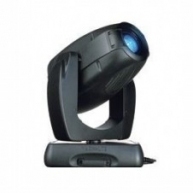 ColorSpot 575E AT - Package of (2) ColorSpot 575E AT. Priced per pair. 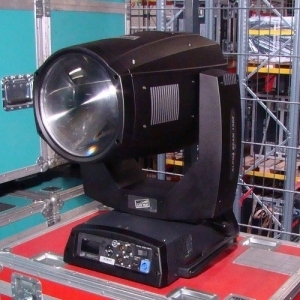 ColorSpot 575AT - Used on various rentals. 3000 hours of usage. Always cleaned and tested.